Welcome to the TRAK*D website. The site is currently under construction. Check back in June 2015 for our online launch. 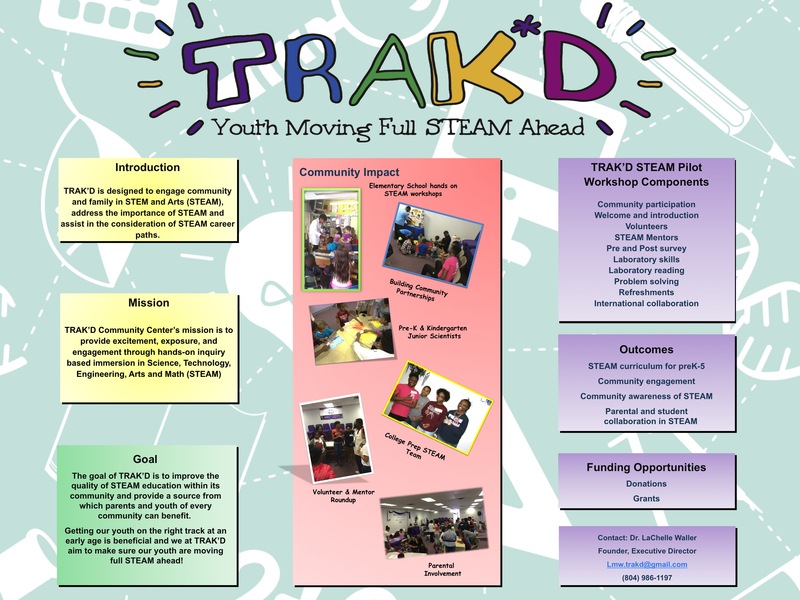 TRAK*D is a non-profit program design to bring science, technology, engineering, arts, and math (STEAM) instruction to K-5 students through interactive workshops and camps.